India were all-out for 236 in 50 overs. 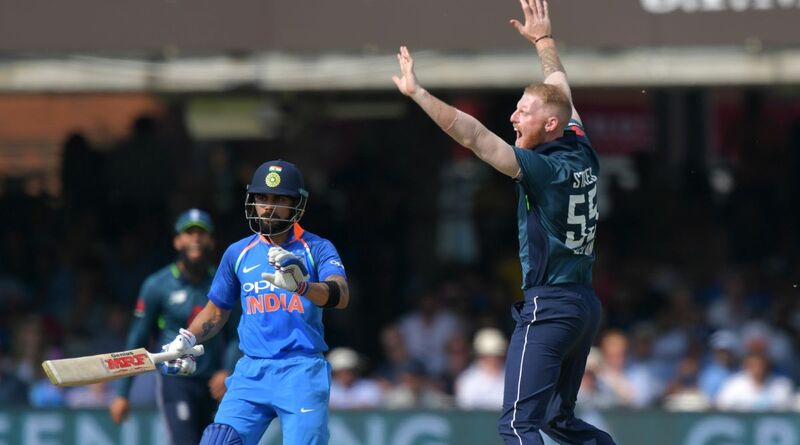 Leg-spinner Yuzvendra Chahal believes that Indian skipper Virat Kohli’s wicket was the turning point in the second One Day International (ODI) against England. After getting thrashed by visitors in the opening ODI, England bounced back and registered a thumping 86-run victory over the Men-in-Blue at the iconic Lord’s stadium. “I think the turning point was the wicket of Virat Kohli because a good partnership was going on. When you chase 322, you need wickets in the end. I also think their spinners bowled well,” Yuzvebdra Chahal said at the post-match press conference. Yuzvendra Chahal also felt that unlike England innings when there wasn’t much assistance for slow bowlers, the Lord’s track helped home team spinners, Adil Rashid and Moeen Ali. The hosts scored 322/7, riding on Joe Root’s 12th ODI hundred, after recovering from 239/6 at one stage. In reply, India were all-out for 236 in 50 overs. “I think as a team, we conceded 20-25 runs too many at the death. But the credit should go to Willey and Root too because they batted so well in the end. It was a different, slow pitch. If you bowled slow, the batsmen were able to play it easily. When we bowled, there wasn’t as much turn as there was in the second innings,” Chahal added. While Kuldeep Yadav (3/68) provided the breakthroughs, Chahal bowled a tight seven-over spell before the 40th over before Willey-Root broke free. “When I bowled a couple of overs, I found it to be a bit slow. So, I decided to vary my pace on it and keep bowling full because it is a slow wicket, there are more chances of going for runs with short-pitched bowling. So I wanted to keep it wicket-to-wicket because if the batsman misses, I have chances of taking wickets,” he explained his strategy. However, the day belonged to the English spinners Moeen and Rashid, who shared three wickets for 80 runs in 20 overs between them. “The way Moeen started, the boundaries weren’t coming. We could only get one or two runs and the asking rate was climbing, so there was pressure on the batsmen. You can say their spinners bowled well in the middle overs,” Chahal concluded.